Professor Dr. Arturo Azcorra, Director of IMDEA Networks (Madrid, Spain) and Full Professor at the Department of Telematics Engineering of University Carlos III of Madrid (UC3M), has been appointed member of the prestigious Academy of Europe. This appointment recognizes Azcorra's role as one of the world leaders in the research and development of the advanced solutions and systems leading to the 5G revolution. Arturo Azcorra has been one of the leading voices of research on computer networks in Spain for nearly thirty years and is one of the most recognized European scientists in the information and communications technology (ICT) field. The honorable Academy of Europe also recognizes Azcorra's vision in the development of research policy at a European level, through his influential role in the European 5GPPP, the Spanish Ministry of Science and Innovation, the Spanish Centre for the Development of Industrial Technology (CDTI), 5TONIC Laboratory, IMDEA Networks and the Spanish Telematics Association (ATEL). Founded in 1988, the Academy of Europe is the only pan-European academy encompassing all branches of knowledge. It is composed of eminent scientists and scholars working towards the advancement and propagation of excellence in scholarship and education for the public benefit. In that capacity he will contribute his scientific expertise on Smart connectivity systems, Multi-access Edge Computing, 5G networks and services, Software Defined Networks (SDN), Network Function Virtualization and Virtual distributed systems. Academy of Europe membership invitations are made only after peer group nomination, scrutiny and confirmation as to the scholarship and eminence of the individual in their chosen field, and election is confirmed by the Council of the Academy. Members are drawn from Council of Europe states and other nations across the world. Current membership stands at around 3800 and amongst them are seventy-three Nobel Laureates. Arturo Azcorra received his M.Sc. degree in Telecommunications Engineering from the Universidad Politécnica de Madrid (UPM) in 1986 and his PhD from the same university in 1989. In 1993, he obtained an MBA with honors from Instituto de Empresa. He is the founder of the international research center IMDEA Networks, and currently is its Director, with a double affiliation as Full Professor at University Carlos III of Madrid (UC3M). He is an IEEE Senior Member and an ACM SIGCOMM Member. He has been visiting researcher at MIT and UC Berkeley, among other research institutions. 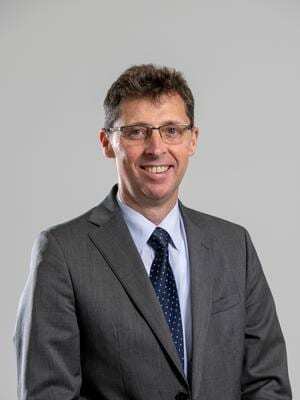 Since 2015 to date he is the Chairman of the Expert Advisory Board of "Networld 2020" European Technology platform and a member of the Partnership Board of the European 5G PPP. Since 2016 to date he is the Vicepresident of the 5TONIC Laboratory for the development of 5G Technologies. He has participated in and/or directed 53 research and technological development projects, from the first EU Framework Programme to the current H2020. Prof. Azcorra has coordinated the EU project 5G-TRANSFORMER, 5G-CROSSHAUL, TRILOGY-2 and CARMEN, and the CONTENT, E-NEXT and E-NET European Networks of Excellence. He has served as a Program Committee Member in many international conferences, including several editions of IEEE PROMS, IDMS, QofIS, ACM CoNEXT and IEEE INFOCOM. He is the founder of the ACM CoNEXT conference series and was the general chair of its first edition. He has published over 140 scientific papers in books, international magazines and conferences. In addition to his scientific achievements, Dr. Azcorra has a relevant track record of research management. He was deputy Vicerrector of Academic Infrastructures at U. Carlos III from 2000 to 2007. He served as Director General for Technology Transfer and Corporate Development at the Spanish Ministry of Science and Innovation from 2009 to 2010, and then appointed Director General of CDTI (Spanish agency for industrial research from 2010 to 2012.